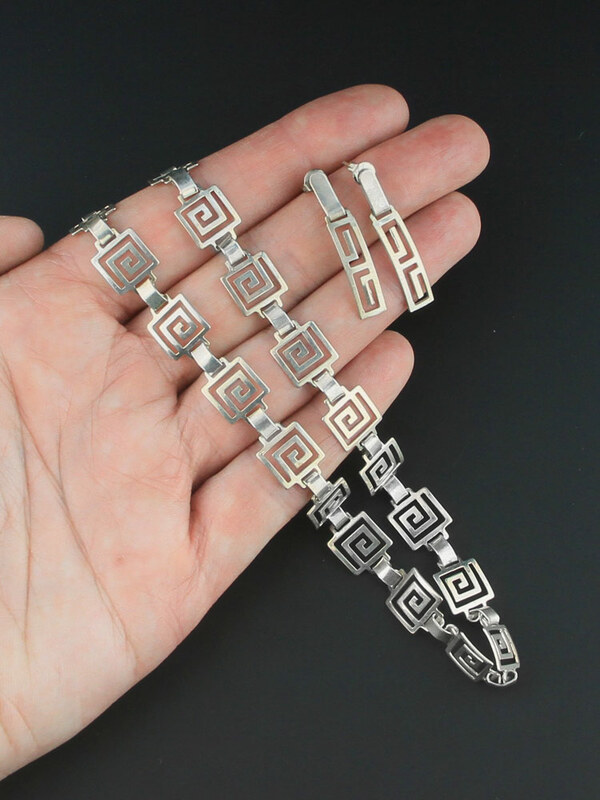 Lovely, handmade, delicate and elegant sterling silver set. 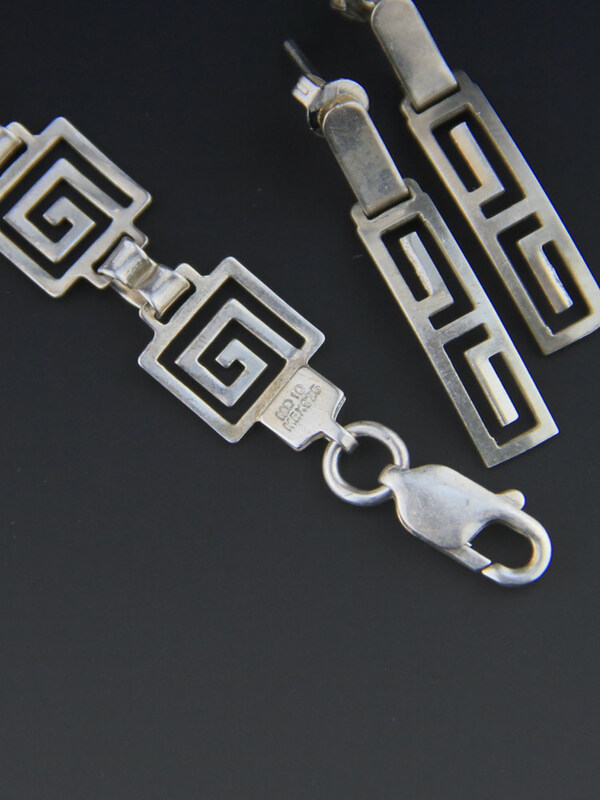 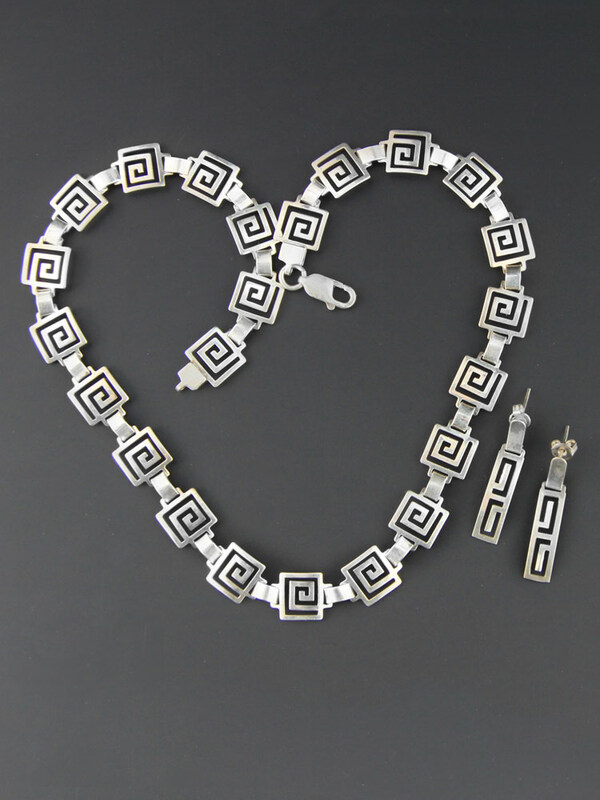 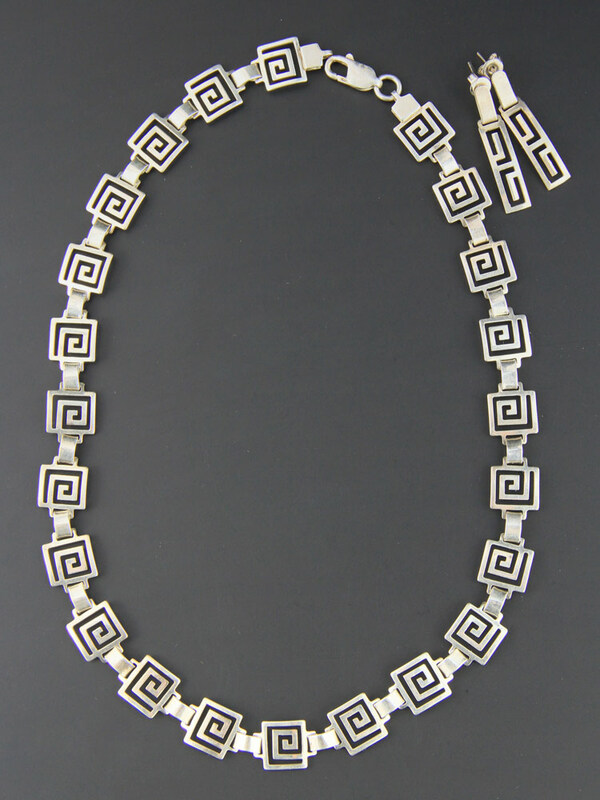 Square greek key style links are hand joined, this is a light and delicate little necklace with matching earrings. 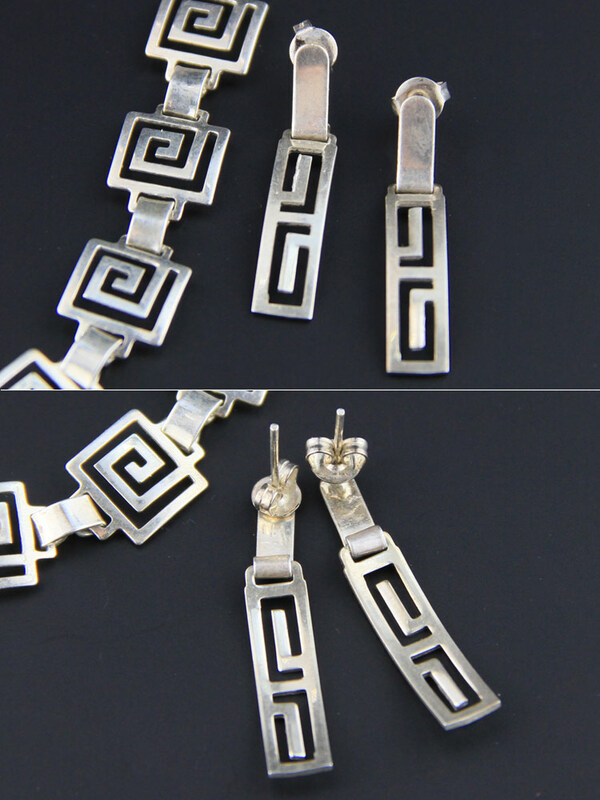 Handmade in Mexican circa 1990, lobster clasp and stud back matching earrings .